I chose to highlight this non-profit today as they have been a beacon of light for many of the young people I work with. They are an all inclusive group that aims to shed light on the issues of self destructive behavior and encourage the cessation of such behaviors as self harm, substance abuse, and eating disorders. 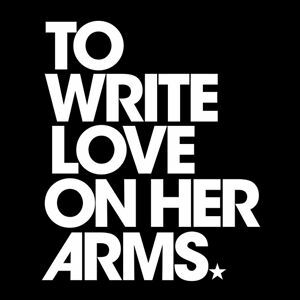 TWLOHA gets their message out in numerous ways and has experienced exponential growth. They put on events where the founder and other contributors speak, bands get involved to promote the issue, they have student organizations called UChapters that meet on college campuses, and their web presence includes forums, Twitter, Facebook, blogs, etc. TWLOHA.com is an inspiring and motivating website. Surfing though connects you to videos, blogs, and merchandise that promotes healing and peace. For those in active crisis, it doesn’t take more than a click or two to find links to crisis hotlines.